Wine and Spirits Magazine ratings are in. 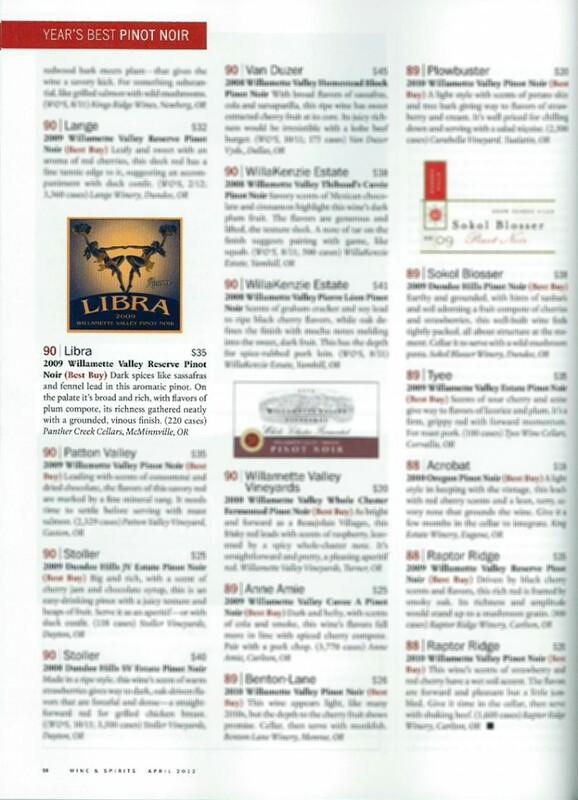 Check out LIBRA in the April 2012 issue, find us on page 98 under “Year’s Best Pinot Noir”!! !